Holly and Jennie's Lava Lamp Experiment! Make An Easy Lava Lamp! 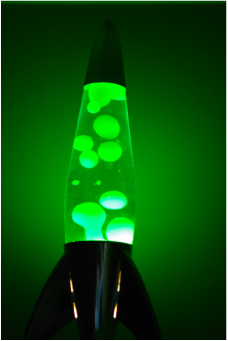 Question: What ingredients make the best lava lamp? Hypothesis: We think that the Diet Pepsi will work the best because it already has carbonation, causing the bubbles to form better and move smoother. 2. Fill the bottle the rest of the way full with vegetable oil. 3. If you are doing the experiment with water, put in about a dozen drops of food coloring. 4. While you're waiting for it all to separate, cut an Alka-Seltzer tablet into 5 or 6 pieces. 5. Drop the pieces of Alka-Seltzer into the bottle and enjoy your lava lamp show!!! For fun- Screw the cap on tight and flip the bottle upside down or shake it. See what happens! Since oil has a lower density than the other substances, the oil floats to the top and the other liquid sinks to the bottom. The Alka-Seltzer releases small bubbles of carbon dioxide gas that rise to the top and take some of the colored water or liquid along for the ride. The gas escapes when it reaches the top and the colored water falls back down. water to the top of the bottle). 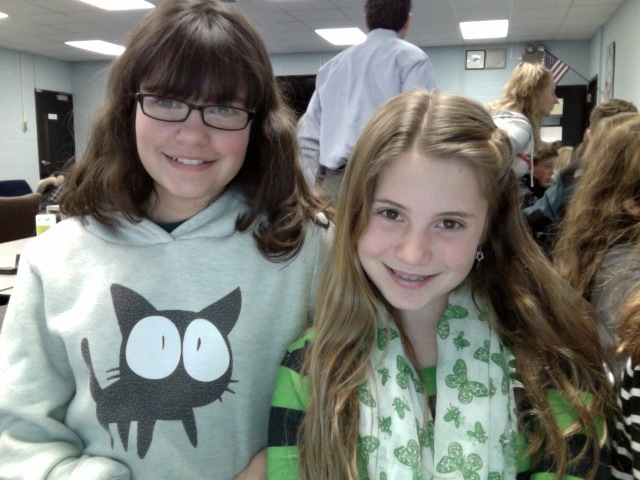 Holly and Jennie are both in the R.E.A.C.H program and the advanced math program in school. Holly is 11 years old. She is the vice president of the Student Government and her favorite subjects in school are math, reading and writing. She plays flute, piano and handbells. She is excited for the upcoming science night. Jennie is 10 years old. She has two wonderful cats, Shostakovich and Winston. Winston is black and Shostakovich is a mix of beige and other colors. Her favorite subject is math. She also crochets and loves fiddling on her viola. She can't wait for science night.